I guess you all aware to those Chines counterfeit LEGO that flooding the market in the past year, especially on eBay & Amazon. We are very lucky to have such a big LEGO® fans who let us know about issues like this. It is definitely not in our interest either when people sell illegal copies of LEGO brand toys. Unfortunately it is difficult for us to monitor all the products that are sold online, however with the help of such loyal LEGO fans, we can try to keep the number of 'fake' LEGO toys to a minimum. I have forwarded the links you have sent me to the teams in charge and asked them to review them. Thanks a lot John for informing us! " I checked couple of days after and saw that all the list pages that i sent to them were removed by eBay. So at bottom line they encourage anyone who sees a fake LEGO list page on ebay&Amazon that will contact them and report the link to them and they will take action in order to remove it. In addition i contact about this with eBay, and they also told me that they are well aware to this sensitive matter, and all customers need to do when they sees a list of counterfeit LEGO, is to enter that list and use the "report item" that located at each sell list on eBay, and to report it as a counterfeit item. I also did it and after couple of days eBay removed all of those lists also. The problem with reporting fake items on eBay is that they will be right back. Unless someone spends the time every day to report fake LEGO sets (or other fake items), eBay is not going to do anyting about it. How do I know? Been there, done that. If you report it, that specific listing will be removed, but if it pops up the following day or by another seller, unless if it gets reported again, eBay is not going to do anything about it. After a few days of spending time reporting stuff, you will get tired of it and the sellers who list them basically win. It's like plugging holes in the dike. The only way this issue would stop if LEGO takes this more seriously and sues eBay. Once money is involved eBay itself will get diligent, and put someone on the job of cleaning out these listings for good. Fake LEGO is good for eBay - it sells well and are eBay is happy to take the fees they collect on them. Buyers are also happy because of the cheap prices and comparable quality to LEGO. They can't afford "real" LEGO sets, so they are glad to buy the comparable fake ones. And of course sellers are happy. LEGO will have a hard time stopping counterfeits, especially if they are coming out of the same factories, but out the back door. I mean ever wonder how their knockoffs are pretty precise with the look of the figure and the color schemes? I agree if is frustrating, but like @akunthita‌ says, it only stops if LEGO decides to issue a cease and desist order to eBay to stop allowing these. Also, I'm guessing eBay has a hard time dictating what can and cannot be sold out of China, so who knows if eBay could stop it. In the past, there were Chinese outfits that would blatantly copy a Lego set (but with inferior plastic and moulding, but simply change the product name to something like 'Lego, e.g. Logo, Loge, Llego, etc. They'd use the same colouring and font style, and no doubt many, many people at a glance were fooled. I've only ever fallen victim once, here in New Zealand, with a set that looked the same, but had the logo corner of the box 'cut-off' in the picture. When I received it, it had a different 'brand' printed on the box, of course no mention in the online auction. Counterfeiting can do a lot of damage, not so much to Lego's income - more about that later - but to turning people off buying Lego in the belief that its no longer a quality product. If people cannot be certain they're getting what they think they're getting, they may simply give up getting. Or switch permanently to an alternative product, e.g. Mega Blocks, in the belief that it is now the superior product (and lets be honest - Mega Blocks' quality has advanced tremendously over the years). I said I'm not concerned about Lego's income. Lego is an expensive marked-up product that relies heavily on its' loyalty base and brand name. I love Lego. I despise inferior brands. However there is a reality that Lego is overpriced. If they priced lower, but maintained quality, counterfeiting will diminish as there is less money to be made out of counterfeiting. For Lego, assuming a set costs $20 to produce in raw materials , R&D etc. Is it better to sell 10 items at $100 each, or 20 items at $70 each? It shouldn't have to affect the bottom line. So long as they cover R&S, production costs, distribution etc, there are many ways to make a certain profit; not simply by ratcheting up price to the max on individual sets. It is precisely this approach that drives both those that make a buck producing and selling counterfeits; as well as those looking to save a buck buying them. Lego can actually help themselves. 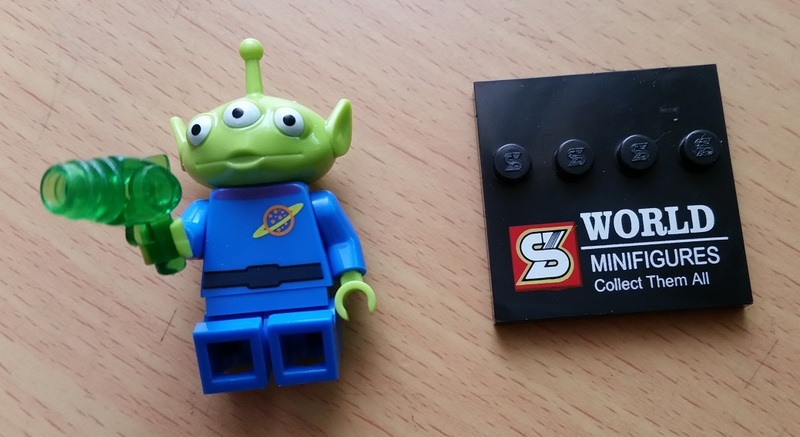 I was thinking of getting some of the ShenYuan Bootleg minifigs that don't exist in the Lego world but I never got into it. I would never get a fake minifig that exists, I have to much OCD to own a fake. eBay have systems to check for fake items. I list a lot of CDs on eBay to fund my LEGO habit and I remember listing a CD which had the title of "ADIDAS". I immediately received an automated message explaining that the item I was selling was fake clothing(?!) even before I finalised the listing. It would appear that eBay was flooded with fake designer clothing at one point just as it is now with fake LEGO. There is a lot more that can be done but I agree, LEGO would have to initiate a "cease" law suit to kick eBay into action. Just make sure you don't purchase it if the seller is coming from China, Hong Kong, or Singapore. Some of them are bad molds that the factories dumped and people just collect it from the trash to make money off it. I have just received my first piece of fake Lego today. I was so disappointed when I opened it, as it was listed on Ebay as Lego. I notice that the legs are small but bend at the hips. I will be complaining to the seller. I am pleased it wasn't an expensive item, and will be much more careful when shopping on Ebay from now on. Incidentally, if any of you have a genuine on of these for sale, I would be interested....Please PM me. If the listing really said 'LEGO' then I would report to eBay as not the item described. As I am interested in classic space I was browsing ebay to see if there were any sets below brick link prices. While I was browsing I found one account selling blatant non Lego copies of the Lego Space Port theme (from the 1990s). It was so blatant that the copies were the exact same sets that lego sold only not lego. Ebay can stop whatever they want but "Lord Business" is in it for the money!! They will not stop unless TLG really presses them and we have to be a part of it letting TLG know and Ebay too as already mentioned. I have sent Ebay 5 or so listings and still see the same sellers come up. Lego is very aware of this. I spoke with one of their lawyers and they have even had teams in the International Trade City in Yiwu, China scouting the latest fakes, in person. This kind of copying is blatantly illegal in China, but the legal system is so arcane, that even reducing the number of fakers is very difficult. I dunno about 'blatantly illegal' in China. I know it is blatantly illegal here in the US. There are TONS of knockoffs in China I believe, to the point where you can get almost anything knocked off. Considering their draconian legal system one would think they could easily stop it, but choose not to, at least that is how it appears from the outside looking in. Blatantly illegal is like saying something is completely destroyed. Just a bit redundant. Sorry, this is the newspaper copy editor coming out in me. 'The road to hell is paved with adverbs' - Stephen King. These fakes never seemed to be there before Lego decided to start manufacturing over there. Maybe all the IP and designs have walked out the door there and down the street to the LOGO Group LLC. Or maybe it is all coincidence, but I think not. I think The LEGO Group is learning a tough lesson about going for low cost manufacturing. When you pay folks a nickel a day to work, they find other ways to make money and usually not in the company's best interests. Any of you guys ever buy one of these..? Since LEGO has moved a lot of production to China, I'm inclined to think there may not BE that much of a difference in quality anymore. LEGO really needs to get it together. Oy. actually, i'm all for the knock offs. I haven't bought any to date, though I have placed bids on a few things with no luck. It's allowing people to find the lego figures they want, more often then not with the main purpose being for display purposes, and NOT have to pay a chunk of change for them. I mean take one auction I saw for example. It was a green ninjago and pearl gold set packaged like those 5 buck kits that the first wave had. The knock-offs sold for maybe 10 or 12 bucks total for the pair in the auctions I was tracking. Buying the sets if you want them would be 30 bucks for the gold guy and at least 12 for the book w/ the green guy if you could find an intact copy in store, buying separately is an average of 9 bucks each on BL and probably not that much better on ebay if i'd have to wager a guess. Or what about those super exclusive comic-con figs that can sell for hundreds online if they're the real thing but people have been able to get a knock off for less then 20 bucks each? or the star war knock offs that sell for way less then the secondary market? I saw that same brand at a flea market the other day. The printing was usually off and the plastic wasn't as good but the components were correct. It's absolutely crazy. ^^stealing artwork, designs or any intellectual property is NEVER ok in my opinion. For some reason the general public have been trained to not see the cost of design and it really annoys me. I can't understand anyone seeing a comicon exclusive and thinking I need that to complete my collection then buying a knock off because their collection is not complete. @ACWWGal2011‌ No amount of rationalizing will ever get me to come around to thinking that cloned/pirated/fake goods are okay. It is theft of creativity and intellectual property of others, period! If folks can't afford the going price for a certain item, perhaps they should recognize that limitation and adjust their 'wants' or priorities. Or better yet, use it as a motivator to make more earnings! But don't go around promoting others to support that philosophy that if its not affordable for the individual, it thus warrants a valid reason to purchase pirated goods. As much as i would love owning a Ferrari or Rolex Presidential, I would never buy a fake and fawn over it like it was the real thing. It would only reinforce the thought that I can't afford to own the real thing because of lacking resources. That would sadden me more than make me happy every time I cast my eyes on said fakes. Most people buy fakes, they just dont know it. Read somewhere that 10% of stuff sold in UK shops were fakes. Just because someone has a patent on it does not mean they inventet it. Only they applied the patent. For my trade i write and if i hear something i tend to use it in my own work. Most writers do this. What content would newspapers have if only unique articals were published? Lego like other companies steal designs or ideas from others. It is natural for humans to do this. Of course stealing for commercial gain is different. I don't know about you but I don' have big bucks to spend on stuff and i'm especially not willing to pay a ton of dough on tiny lego figures!!! 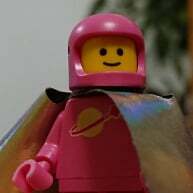 and my wants/priorities as far as my lego buying goes is already hitting a bare minimum over here so it's not like I can cut back anymore then I am unless I only start buying poly bags(I like polys but not all the time. My buy list is series 5 friends animals(if the lego company ever gets stock down to where I am), tracking to see if couple sets that I really want go on deeper clearance(one set I've been tracking for almost 3 months already), an online order I want to do at some point, and while it's technically not lego, I also want an cheap clicker counter to assist me when I go to count out parts. I even traded about 80 of my excess minifigures(60 being CMF's) that i don't need towards 3 small sets, a few parts, and some minifigures to try and stretch my budget. My other hobby, besides the internet of course, is books and lately that's mostly been accomplished by either borrowing books from the library or buying used books for a less then a buck(out of my last 6 or 7 books buys, only ONE was a buck and the rest were a quarter each). Only exception to that is uncle john bathroom readers that I buy new on the rare occasion and want to do an order for a few books online. Plus I have a video game hobby but it's mostly been used games I've been buying lately or i'm replaying the games I do have. Only upcoming buys are 1 game that I REALLY want, one game that I might buy pending reviews, 1 game IF I can ever find it at a decent price, and i'm trying to track down a decent game holder. And i'm begging you, please don't say "try shopping during clearance time" since I already do my best to do so but things are pretty flat around here. Rare to find a really good clearance even around here lately especially since we don't hit target to often and the WM's where i live are really LAZY on having clearances around here. And i'm also begging you not to say "why not try moc'ing so you don't have to buy as much stuff" since i've done it in the past and it's on my to do list and I've been brain storming an idea for about 4 days now but the problem is thanks to a lack of a few parts I need i'm at a standstill for now unless I can get about the issue or I get the parts I need, whichever comes first. I've been brainstorming a second idea for about 2 days and might trying starting some of it later on. um.. how? In my case, i'm mostly getting money from helping an uncle out by sitting his dogs if he has to travel for work. At the moment i'm having to help with an aunt, i'm having to do extra around the house b/c it looks like mom has a hernia starting to develop and she's having to take it easy to hopefully make it 2 more weeks so we can line some stuff up ahead of time b4 surgery day, and i'm currently dealing with a battle of the partial dentures in my mouth since the upper is starting to be a royal pain AGAIN. partial dentures + short teeth = NOT FUN!!! If I go in again, that'll be adjustment number THREE for the things plus I had the acrylic reline gunk procedure. And i'm begging you not to start judging me on having partials at 25. I've dental issues run in the family, a child hood issue of tooth grinding(I was like 4 when I was a grinder), a severe dental phobia, and short teeth working against me. I mean sure at the moment i'm resting and taking it easy but soon i'll have dogs to get back in the cages, big bag of dog food to haul in, and feeding and watering them and on top of that dinner. This morning/early afternoon we had errands to run and I had to shovel a dead juvie possum out the dogs yard that decided to try and steal the dogs food from the bowl. Second stinker this year that tried to do it, second dead possum that had to be shoveled. As much as i'd love to get myself a Bennys SSS or a modular building or a nice big chima set, I know that I have neither the space or the money for it. the best that I can do is a mini Bennys SSS model I saw online but with color substitions since I don't have blue baby blows. Buying knockoffs is never ok.
"Every time I give a talk on the luxury business today and I get to the subject of counterfeiting, the same thing happens. The room grows absolutely silent as I put forth the facts: It is estimated that up to 7 percent of our annual world trade — $600 billion worth — is counterfeit or pirated; that fakes are believed to be directly responsible for the loss of more than 750,000 American jobs; that everything from baby formula to medicine is counterfeited, with tragic results; that counterfeiters and the crime syndicates they work with deal in human trafficking, child labor and gang warfare; and that counterfeiting is used to launder money, and the money has been linked to truly sinister deeds such as terrorism. No one utters a word, not a sound, as I recall the raid I went on with Chinese police in a tenement in Guangzhou and what we discovered when we walked in: two dozen sad, tired, dirty children, ages 8 to 14, making fake Dunhill, Versace and Hugo Boss handbags on old, rusty sewing machines. It was like something out of Dickens, “Oliver Twist” in the 21st century. The audience gasps. From time to time, I see tears too. And afterward, I always hear the same response: “I had no idea.” Always. Most consumers believe that buying fake goods is harmless, that it’s a victimless crime. But it’s not. It’s not at all. In the five years that I have been writing about this issue, I have seen two things happen: The illegal enterprise is getting stronger and more professional, and the consumer is slowly but surely becoming more aware." I didn't mean to single you out on your circumstances or anyone's life situation for that matter, but rather just admonishing you on your support of pirate goods. Especially considering that you've never purchased any yourself. So it was more so about the principal than anything. But I certainly identify with you on a few points. I had terrible dental issues that were inherited from my father and have had full osseo surgery with bone grafting in all 4 quadrants the past 2 years. Cost a small fortune ($6K out of pocket) even after insurance coverage. So i can definitely relate to your pain on that in more ways than one. And when it comes to the expensive figs, I'm quite biased considering I'm complete for all the SDCC Superheroes. So i realize my perspective is not the same as most others on this point. But the principal remains the same against supporting the pirated/fake ones, regardless of how pricey they are on the market. It's just not right. When it comes to your point of priorities, I can certainly understand that as well. Limiting your wants to only those very desirable sets/polys, deprioritizing or seeking cheap avenues for your other hobbies, etc. I think we all need to do as such or else all us Bricksetters would be financially broke while rich in bricks. But sometimes there is only so much cost cutting and belt tightening one can do. Only option after this is to concentrate that mental effort from cost cutting to revenue generating. If we, as a person or nation, does that then the situation improves for us all while sacrificing less (other than sweat and time). The answer is not to seek ways of cheating & stealing, which is what pirating goods equates to in the end. Sorry for the long speech, I just wanted to make it clear I wasn't singling you out individually and more so making a public announcement against the vices of buying fake goods, in particular Lego which has it's value solely in design. Essentially I'm just putting up a sign that says "Don't feed the trolls" for this thread that speaks on that exact point. As much as I would want to buy a knock off, as I could not afford the obnoxious cost of a con exclusive, deep down, I know it would not be a 'real' one. Some people however do not have such thoughts which is why these sell even though they may not be truly identical to the con exclusives. I personally can't see why anyone would want a clone / copy / knock-off (call it what you will) of a Lego Minifigure. It's very nature (being a copy) means that it isn't what you are wanting it to be. The simple fact is that as a Lego collector, you collect LEGO. No matter how good the clone is, it's just a non-LEGO lump of plastic. You know it's not Lego, and it has no inherent value because it can't be sold legally or easily (these things are flooding ebay so good luck to any private seller trying to offload their collection of knock-offs). People say that the copies are cheaper, but how does that work if a clone figure costs £5 and worth nothing, but a Lego original costs £10 and is *worth* £10. If you want a Lego Hulk, or a Loki or a Deadpool, then like me you may have done a search on ebay for something like 'Lego Hulk' only to get hundreds of results when in reality there are only 5 or 10 genuine items on there. A lot of which don't even have 'Lego' in the title but because eBay seem to automatically match anything that is being sold under the Lego category tree. Other people do put Lego in the title, but include it in such terms as 'like Lego', 'fits lego', 'Lego compatible' etc. These sorts of titles are also illegal on eBay as it is brand name keyword spamming. So there is a lot that eBay could do to help the situation, but are not bothering. Also, I do wonder if Lego really mind this situation. After all, they make it quite clear that they do not approve of parting out sets for minifigs - I have read that their Terms for resellers prohibit this practise. They want people to go buy the whole set from them, not one or two figures off eBay. There is a reason that the Guardians of the Galaxy crew are split across multiple sets after all. The cynic in me wonders if the influx of copies makes it so hard to obtain genuine items that Lego think people will just go buy the complete sets. I get very annoyed with people selling copies because I think the majority (90%) of buyers do not realise they are buying a copy and are being conned. This is a whole different issue to those people who choose to waste their money on a copy in the knowledge that what they are buying has no intrinsic value. umm... I forgot to mention. I'm not a lego purist and I actually like a few of the clone brands. I am probably going to be one of the most hated people here but i don't care. b/c A) it's 5 cheaper and B) unless you're planning on selling the figure or trading it, does it really make a difference? One of the many reasons I will not by knock-offs or fakes is I do not want my kids playing with potentially harmful chemicals/paints/plastics that are not up to standard. One of the many reasons I will not use knock-offs or fakes is that between my daughter and I, we like to enter Lego competitions, and if you're spotted using fakes, you cannot win. Fake Owner: "L-look at my Toy Fair C-captain America and Iron M-m-man..."
there is not. its getting to be a total snobbery thing with the lego traditionalits. As a fan of all building bricks (it just happens lego does it best) Im delighted to have more options. Now im not taking about the copy-cats/blatant rips offs but the likes of the companies who have their own designers and have started producing their very own lines! Lego messed up but letting their patent expire, tough cheese! The designs and quality of some of the stuff out there is brilliant. Whats peoples take on the new castle lines from a certain well known asian brand? They've moved on and have their own lay-out, emblems on the shield, facial expression etc etc. I've noticed there are an increasing number of Lego clones being sold on eBay. I've just reported one for the first time as although they stated that it's not Lego, the minifigs are exact replicas of Lego Movie, Star Wars and LotR minifigs that are clearly not licensed. I don't object to the selling of clones, but I am opposed to blatantly copying designs and claiming compatibility or any other mention of Lego. I think there needs to be some clarification between clones (being copies/counterfeits) and off brands (those that are imitators but not counterfeit) as one is undeniably doing something wrong, the other is a competing product - in theory at least. I realise there is an issue with different people using different terms, but I personally think calling mega blocks etc clone brands isn't fair as they do have their own style in the building toy category, regardless of the fact I don't like the brand. In the case of the eBay auctions that I saw, they did state that it's not Lego, but the minifigs were clearly copies of Lego ones. This was particularly obvious as they had copied licensed themes such as the Lego Movie, Star Wars and Lord of the Rings. In hindsight, using the word clones was probably confusing. Technically it was a clone, but it was also counterfeit. The seller did state that it was not Lego, but it was clearly counterfeit. The seller was also clearly aware that they were trading off the Lego brand by mentioning that it was compatible with Lego, which makes it show up in searches. What I also meant was that I have no objection to similar construction sets that may or may not be compatible that trade off their own brand. ^thats exactly what I mean about the term clone brands, a clone being a direct copy far better suits minifigures that are clones of Lego's designs. ^Yes, I totally agree. But this site has already used the term clone brands to describe other brick brands. Just to be clear I understand that the accepted convention on the forum is that clones is generally used for other brands, but in the context of this thread I think people need to be clearer to save on confusion. Most sellers selling the rips offs have to use 'building 'custom', 'block', 'blocks', or 'figure', maybe minifigure, and don't use 'LEGO' in their listing, as I believe you CAN get anything that says 'LEGO', but is not, knocked off of eBay as a misleading title, or description under KW spamming in the report item section of eBay (I think there is also a counterfeit item response as well) Now, I think the counterfeit item action has to be taken (or used to anyway) by the copyright or patent owner, or holder. However I think eBay can yank anything that has a misleading title or description. So i would suggest that those seeing these auctions using LEGO for counterfeit items should at LEAST report it to eBay as misleading title when they see those, and also contact LEGO CS if you see anyone prolific in doing this (See their other auctions, and if they are selling nothing but knockoffs report them, especially if they are not in China (as I doubt the Chinese govt would allow LEGO to do anything about those). What LEGO can go after, and Marvel as well, is if someone is using the superhero designs without their permission. and seeing the power Marvel has as it is Disney, I would think they would pounce on those who are using copyrights for their gains when not paying Disney for them. @MAGNINOMINISUMBRA‌ I haven't heard of counterfeit CMF figures, though I would be wary of buying any such thing from China if that's your concern. I've seen fake SuperHeroes, Lord of the Rings/Hobbit, Star Wars and Castle figures. If you're wanting a box of earlier CMFs your best bet is probably Bricklink or BrickOwl, and choosing a seller from Europe or the USA with a high feedback rating. ^ Take a look at chinese "ebay style" sites like alibaba. That will show you which figures are faked - everything (lego) on there is fake. I cannot understand those people that collect, for example, all lego superhero minifigs, but then also get fakes of the comic con ones. If a $2-3 fake comic con one is good enough, then why isn't a $2-3 fake of a common figure like Batman from a $20 set also good enough? You might as well just buy the set of fakes rather than bother with real ones.